Heeft u een vraag voor Palace Hotel? Het Palace Hotel in Mandalay ligt op een gunstige locatie voor reizigers met een interesse in religieuze interesse, bezichtiging van bezienswaardigheden, cultuur en is bij uitstek geschikt om te ontsnappen aan de hectiek van alledag. Slechts 1.0 km verwijderd van het stadscentrum, is dit een goede plek voor gasten om te genieten van de attracties en activiteiten in de stad. Een plezierige omgeving en de nabijheid van St. Joseph's Church (Mandalay), United Vision Mandalay, Kyae-Mhon Computer Effect Clinic verschaffen dit hotel een bijzondere charme. Het Palace Hotel biedt gasten superieure dienstverlening plus een breed scala aan voorzieningen en is toegewijd om uw verblijf zo comfortabel als mogelijk te maken. De topfaciliteiten van het hotel omvatten gratis wi-fi in alle kamers, schrijn, dagelijkse schoonmaak, post service, taxi service. Ervaar kamerfaciliteiten van hoge kwaliteit, inclusief plasma tv, draadloos internet (gratis), airconditioning, bureau, minibar, om tot rust te komen na een lange dag. Daarnaast garanderen de talrijke recreatieve mogelijkheden dat u zich tijdens uw verblijf kunt vermaken in het hotel. 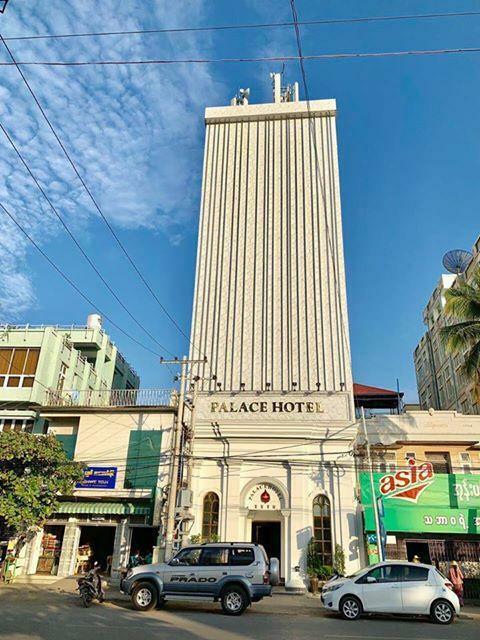 Als u zoekt naar comfort en gemak in Mandalay, dan is het Palace Hotel uw thuis ver weg van huis. Basic kamer, desondanks we een superior kamer geboekt hadden. De eerste avond was ons toiletpapier op en we belden de receptie om een extra rol te brengen...geen probleem kregen we als antwoord...na een half uur nog niemand gezien...we belden terug naar de receptie om te vragen waar ons toiletpapier bleef...ja we komen het brengen was het antwoord...uiteindelijk niemand gezien. Overdag was er een dame aan de receptie die wel vriendelijk was en Engels sprak. There was a thin layer of dust and the hotel staff were kinda new and needed to be told to do housekeeping. He needed to be told where to clean, replace toilet rolls, etc. In the first place, if it is under renovation, it should not open for business. A group of PRC tourists got turned off and check out early to change hotel. This is an okay hotel, however the rooms are pretty small compared to other hotels of same price range and services. It seemed that they just opened the place or finished renewing the hotel when we got there (early Feb 2014). So they had special promotion and we had a great room for 30US$. 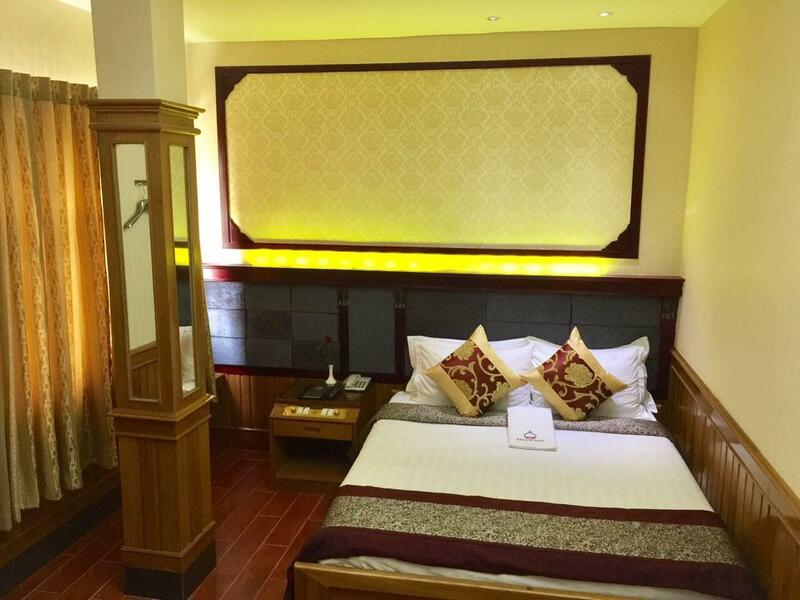 The kind of rooms we haven't often seen in Myanmar! (not at that rate anyway). Nice breakfast on the roof-top terrace with view. After check out in the morning, they even arranged to allow me to take shower in the evening before my night bus to Yangon. That is very much appreciated especially after a long hot and sweating afternoon. Nothing out of the ordinary. Centrally located but just a little to far to walk to the night markets. Motorcycles were fun to get around while taxis were harder to find. Food was good and the staff weer friendly and helpful. Centrally located, on main road, close to railway station. This hotel is in good location but the room is very small and old. Bedding is not western standard. The bathroom needs renovation. It is over priced for its service and room condition. The reception they are not friendly. 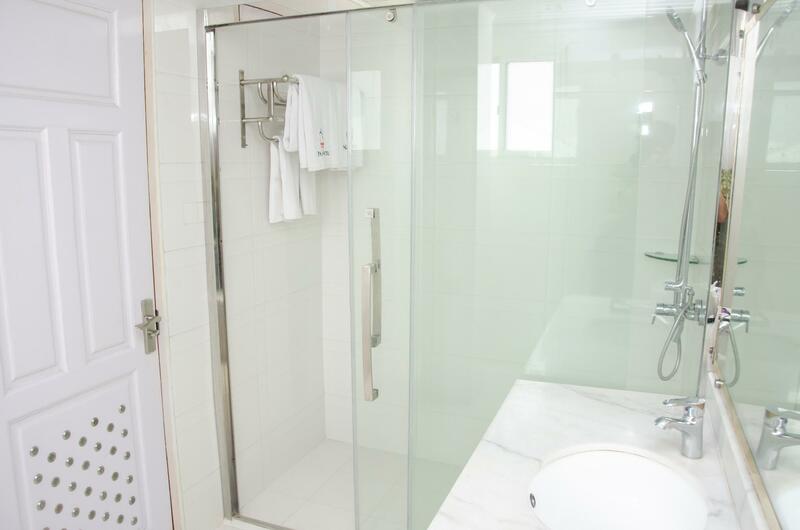 The hotel is clean and fair price. friendly staffs. good service. good location. We arrived earlier than the checkin time but the hotel still gave us a room for a short rest before continuing our trip, with no futher fee. That was so nice!!! Good clean basic accommodation. Large room, but thin windows that let in street noise. The hotel location is good. Room is ok but accommodation in Myanmar is quite expensive. Compare to other city in South East Asia, the price is quite high. But overall we're quite happy. Diring our stay in here. Staff was very friendly even if not always easy to make myself understand when I needed to have information on bus reservations. The hotel is in the middle of the city but the area is poor in good restaurants. Room are ok. The standard room was adequate with a very firm (hard!) bed; persistence and patience is required if you want a warm or, if you're lucky, hot shower. Prices offered online are outrageous for the quality (or lack of) that you get. If you have a reason to visit this miserable city for more than a couple of days I'd get here and then walk around bargaining for a 'deal'. (There is so little to see/don in Mandalay it's better missed altogether unless you visit en route somewhere els. The review wont let me leave blank "good things about Mandalay" so I ticked skiing - like most things you might want to do on holiday, you can't find it here!!! Staff are very atentive so if you like the door opened for you and/or help parking your motorbike and/or carrying your toast from the 'self-service' breakfast table - then you'll love this place. Breakfast is sad; it's assumed you want toast with tasteless jam but cold nearly fried eggs are also available. There is a good selection of asian food but I'm afraid cold rice dishes or noodles etc don't appeal to me first thing. There are coffee sachets that seem to be full of sugar and lacking coffee but here's a hint: ask for black coffee and a jar of Nescafe will appear for a short while. Half a sachet of their stuff plus a spoon of Nescafe makes an acceptable morning brew for me. Basic rooms but clean. Staff were kind enough to let us move one of our nights to when we returned to Mandalay for no extra charge. Decent breakfast on top floor looking out over the city. it's a clean hotel. the staff is onto every customer's call even if they hardly understand anything you say. the rooms are large and airy. the walls are tiled. they are like bathrooms. bad plumbing,sink drain on the bathroom floor. Ok for one night. A typical overpriced older burmese hotel. Location is good. Lots of shops and restaurants around. Internet worked ok. Front desk is fast and efficient. Room was a bit noisy and in general things were run down. Location was ok. Mandalay is a big town, staying nearby the Palace is good. 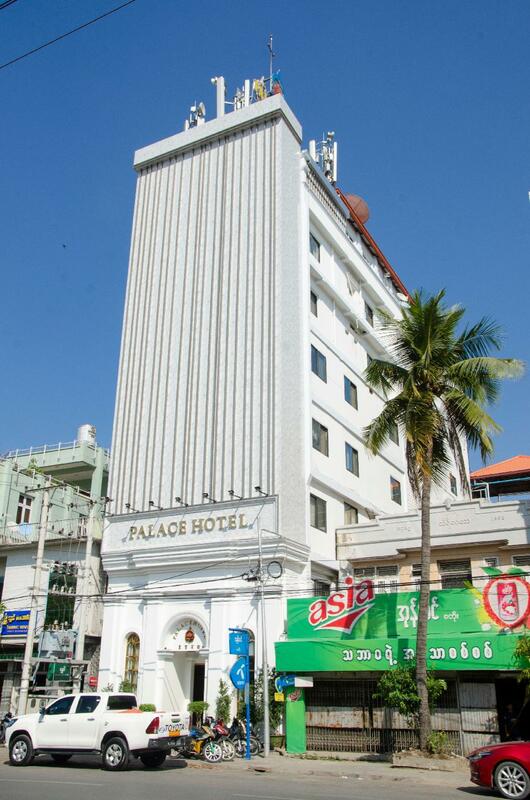 This hotel not that close to palace; by walking at least 30 min. wifi is acceptable, the buffet breakfast is very basic. I would have rated this hotel as 'excellent' but sometimes getting a hot water shower was difficult.